I know, I know it’s not even Thanksgiving yet. . .and seeing the word “Christmas” may trigger a mix of excitement and terror. My goal in this episode is to help prepare you. To empower you in sharing with your kids the good news of God taking on flesh and dwelling among us. To help you create meaningful family traditions that your kids can pass on to the next generation. Today’s guest is my good friend, Jacki Rucksdashel, author of the Jesse Tree Project. 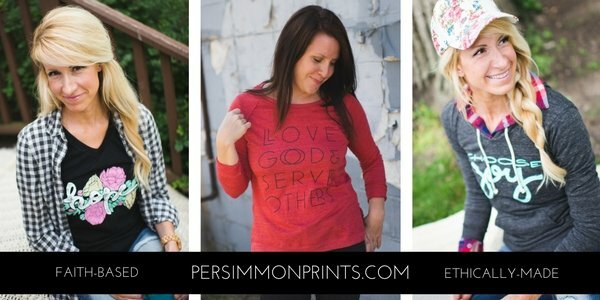 She is a mom to two amazing kids, a former classical education teacher and a darling, godly woman. 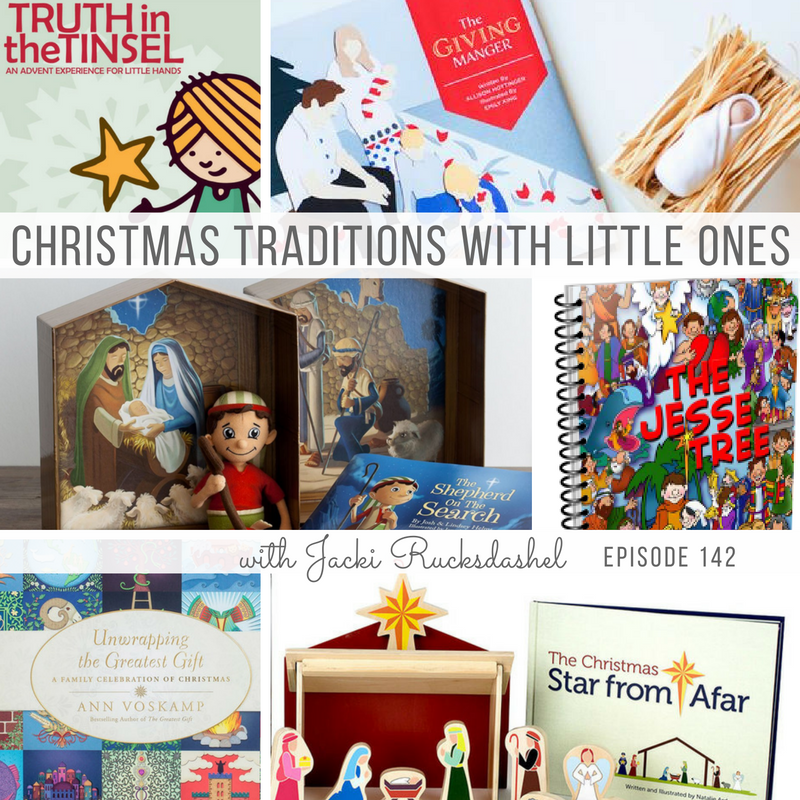 Jacki and I chat about the value of creating Biblically-based Christmas traditions. Fortunately, there are lots of options these days for families to celebrate Advent. We’re gonna help you sort through them so you can stay sane in the holiday cray-cray. Jacki & I encourage you to pick one (maybe two) of the options. And to consider your family’s interests, ages, and values when choosing. We also share personal stories of our “less-than-perfect” attempts at memory making. And how to be realistic when celebrating the holidays with little ones. Am I teaching my children that Christmas is about busyness? Or am I teaching my children that Christmas is about sitting at Jesus’s feet, and resting, and enjoying his birth and the fulfilling of the promise? It can get so easy so forget that, even in doing all the good things. Why are Christmas traditions such a big deal, anyway? Setting priorities by reverse-engineering from Dec 26 and what you would consider a (realistic) successful holiday. I’ve just discovered your podcast recently and I’m LOVING it! Full of wisdom and practical God-centred advice. I really enjoyed this episode. I’ve got a new born and a 2 year old so it’s given me lots to think about. We love and use The Christmas Angel! I really think you should add that one to your list :). Love your podcast! !